Home School In The Woods | My Journeys Through Life . . . Herding Cats In New Mexico! 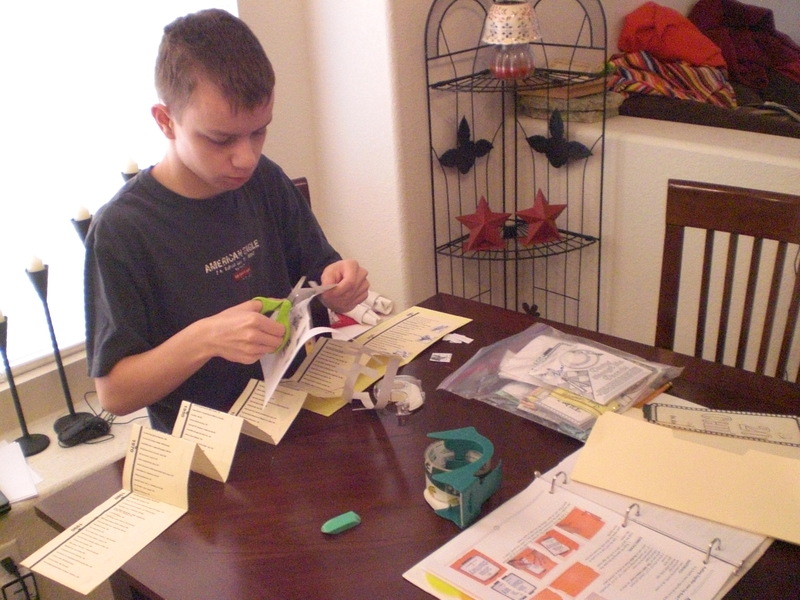 Adding in the Make-A-State Lap Book from Home School in the Woods‘sHands-on History Activity-Paks series has been the perfect hands-on addition for our studies. 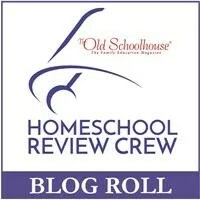 We have reviewed other products from Home School In The Woods, and you can read those reviews here. We have been wanting to learn about all of the states we touched on during our big move from Michigan to New Mexico, so we chose to begin with Michigan, since we were all born and raised there. 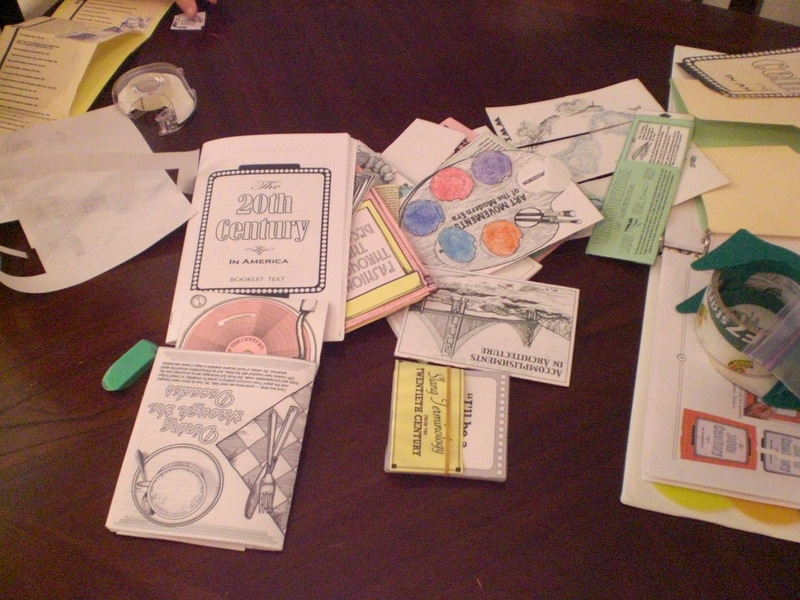 We like the Hands-on History Activity-Paks because while they are Lap Books, they are not HUGE Lap Books. This works for us because we deal with short attention spans around here. Before “The Artist” began the Michigan Make-A-State Activity-Pak, I got out the file folder (only one!) he would need. 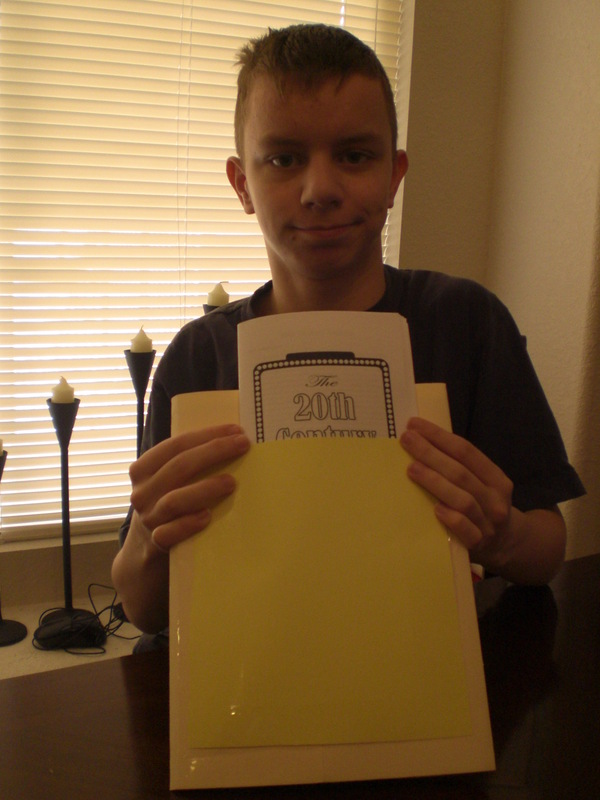 I then printed out the pages showing the placement of everything in the Lap Book. 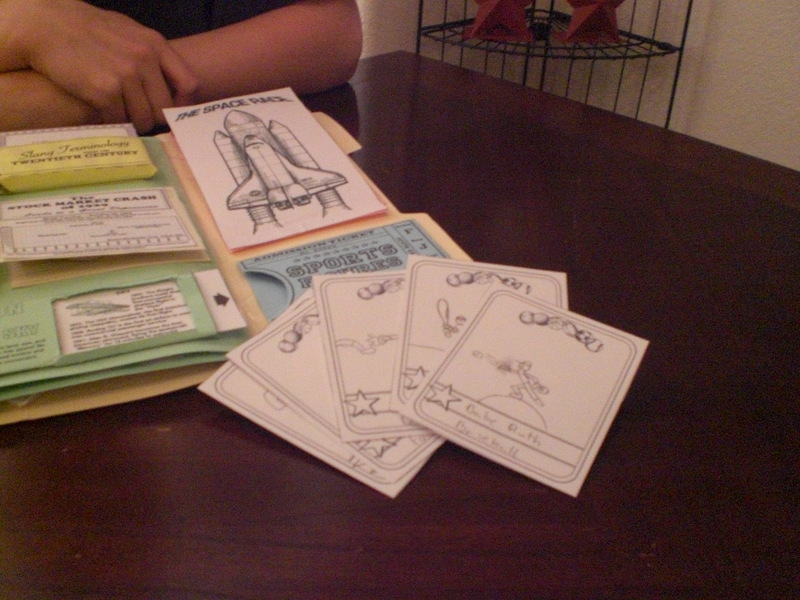 Then, I printed out the pages which told, in order and with small pictures, which activities to do and in what order. I used THAT to tell me which pages to print out for him. 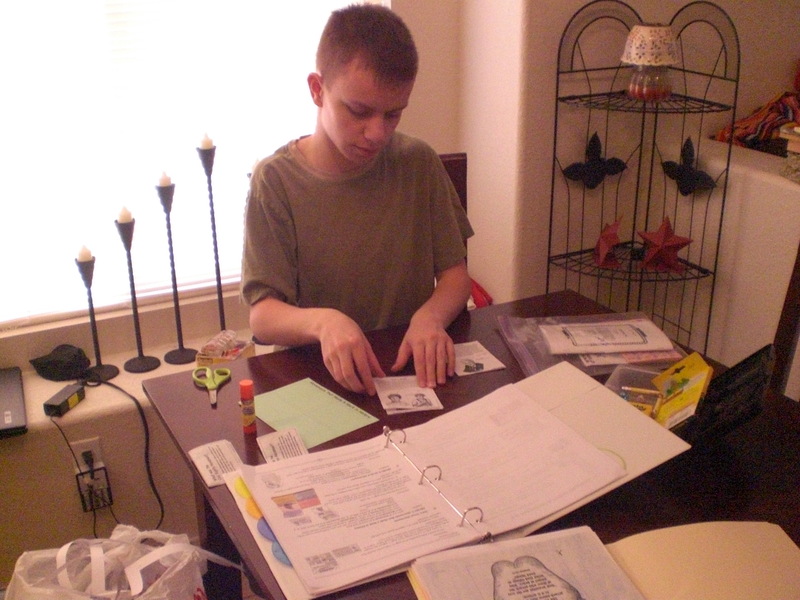 I also let him into my paper crafting stash to choose what color card stock he wanted to use for the two inside pages of his Lap Book. Once everything was printed and contained in the folder, I had “The Artist” begin doing the projects. Having never been really successful with using glue sticks on Lap Books, one of the supplies we keep on hand is double-sided tape. Other supplies you may want to have on hand (and probably already do, if you are a home schooling family) are colored pencils, crayons, scissors, regular pencils, printer paper and card stock. 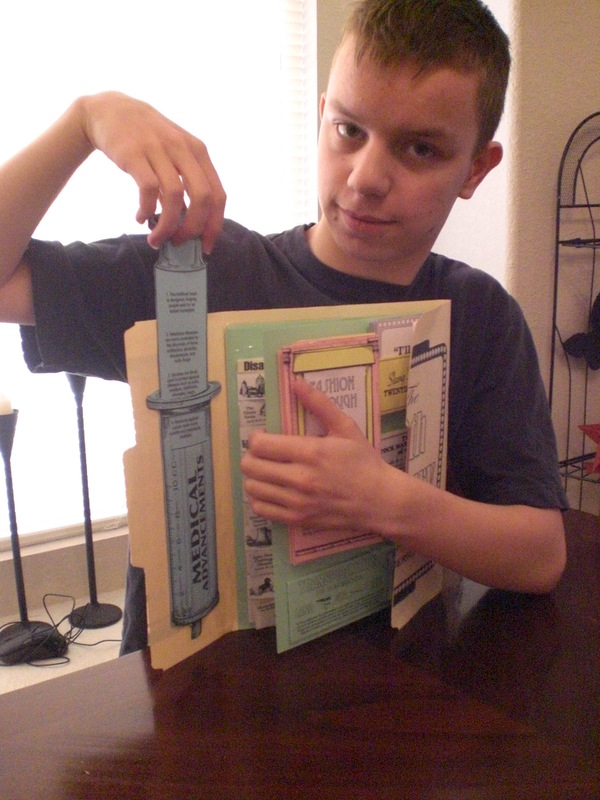 A Name That State file folder game to print out, assemble and play. Even though all the people in our immediate family were born and raised in Michigan, there ended up being things we either did not remember, or just didn’t know. I just asked “The Artist” about that and he says that he only knew (without looking it up) one famous person from Michigan, didn’t know much in the Industry / Agriculture / Climate section, or what the state seal looks like. So, even if you elect to study the state you live in, you might be surprised at how much you will learn! Here is “The Artist” showing me page by page, his lap Book. Project Passport: Ancient Rome study has been release ahead of schedule, and is now available for download here. The now complete Project Passport collection is available here. 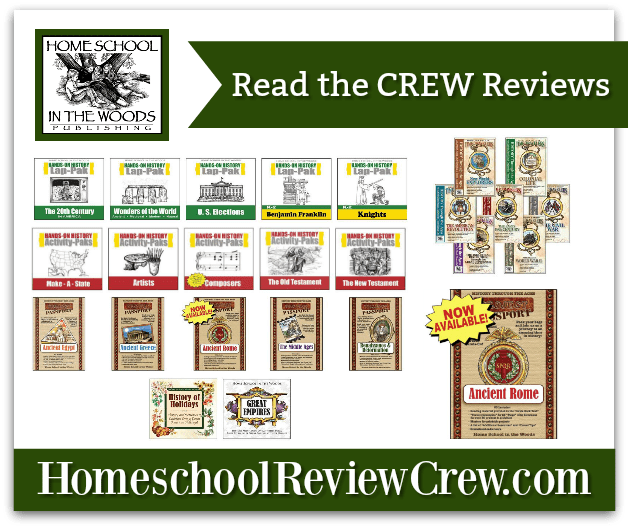 To read 89 additional reviews written by my fellow crew members about many of the products from Home School In The Woods, please click on the banner just below. 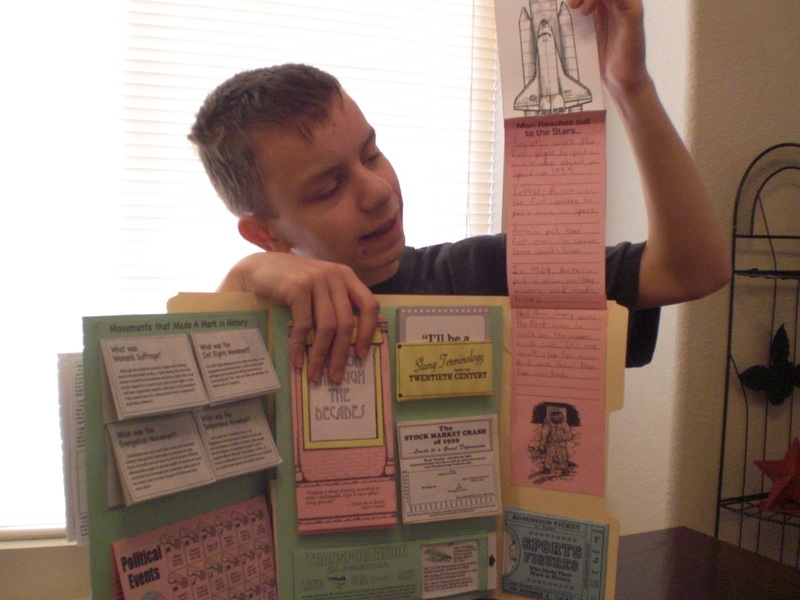 Home School in the Woods now offers many of their hands-on history projects Á La Carte, and our family was blessed to receive two of them for this review! We have never tackled timelines in hour home education, and I thought this might be a good way of dipping our toes in on a small-scale. I’m very glad we did! It was much more comfortable doing our first timelines this way. 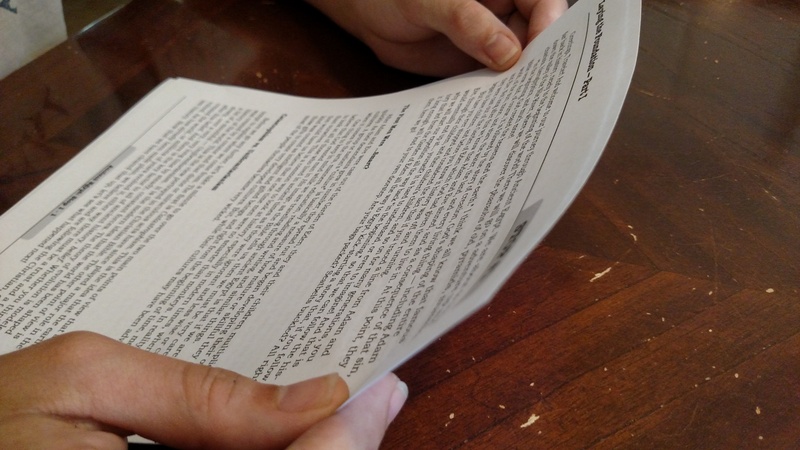 The timeline pages are pre-designed to be printed out onto cardstock, and the figures are drawn and simple to print out onto plain old copy paper. They can be colored or not. In our case, “The Puzzler” chose to color some of te figures and also the stars which are printed as top and bottom borders on the timeline pages themselves. 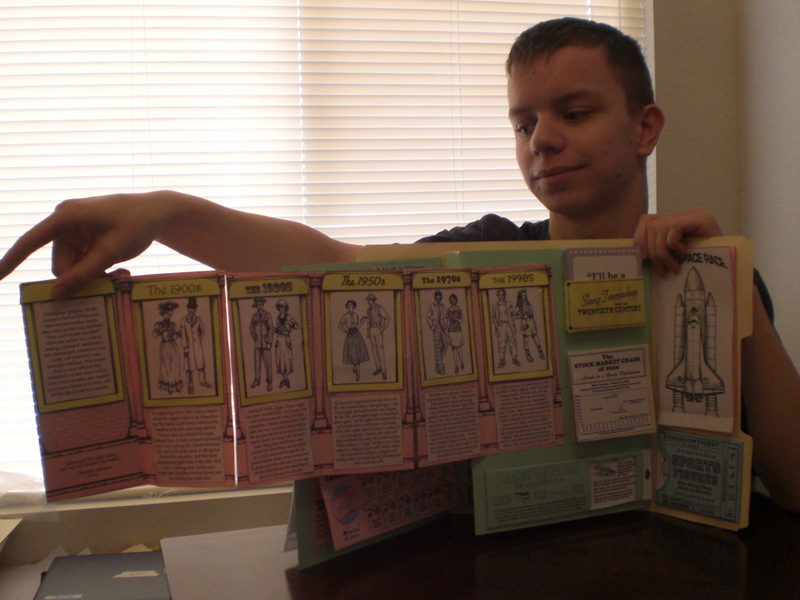 These timelines came with many figures to put onto the timeline and a teachers key. We didn’t even need the teachers key though, because the actual timeline pages had light printing to tell us exactly what to put where, which my kids appreciated. 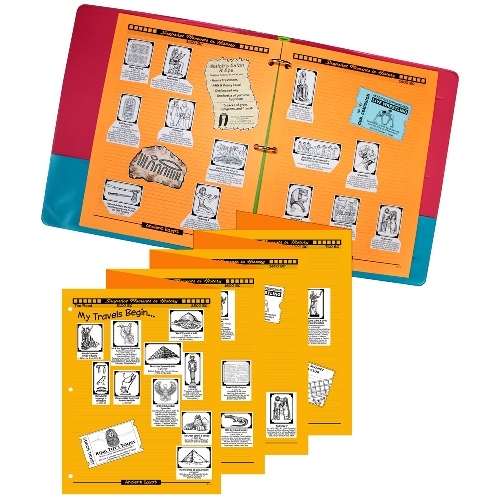 The Snapshot Moments in History: Ancient Egypt Timeline, designed to look like a scrapbook format, also came with travel memorabilia to cut out, color and add to the timeline. Many of them got my kids laughing, such as: an Ancient Egypt Resident Fish and Game License, a souvenir bookmark, a boarding pass for a boat trip excursion, and others. The Timeline of the American Revolution covers from the year 1600 to 1790, and includes historical people and events such as presidents, The Mayflower Compact, The Continental army at Valley Forge, and many others. Here you can see “The Artist” working on the Snapshot Moments in History: Ancient Egypt Timeline, and “The Puzzler” coloring in figures for the Snapshot Moments in History: Ancient Egypt Timeline and the stars on the actual pages of the Timeline of the American Revolution. These timelines are great! They are a snapshot of a specific time period in history, and Home School In The Woods does an awesome job of making our entrance into timelines incredibly easy! We have been fortunate enough to review for this company two times before as a result of being on the Homeschool Review Crew. You can look at those reviews here. 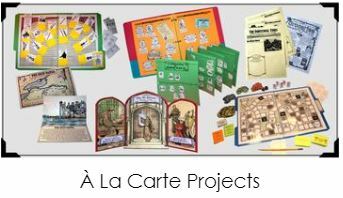 The Home School In The Woods Á La Carte products are many, and they are quite varied, which certainly will give you something of interest to you. You will find them all shown and described here. 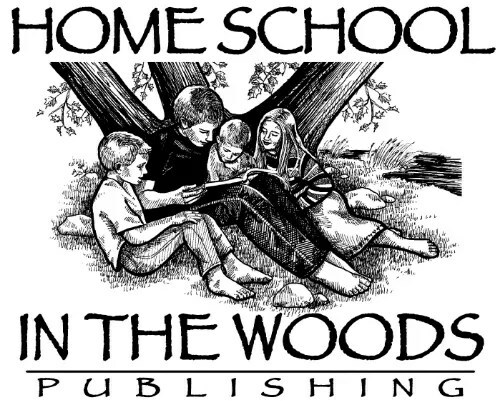 To read 99 other fair and honest reviews of this and other Home School In The Woods Á La Carte products from my fellow crew members, please click on the banner below. 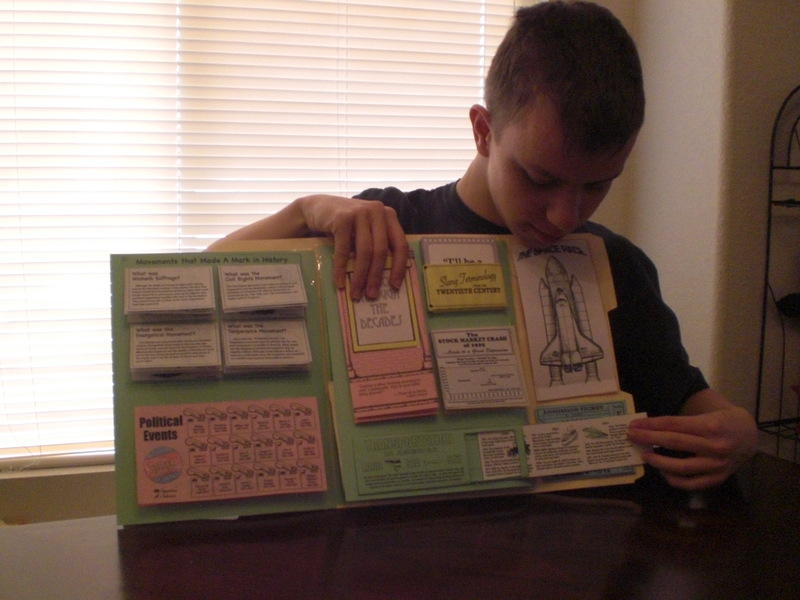 Although our family had had one (very good) experience with the company Home School in the Woods, we had never seen any of their “Project Passport” products. 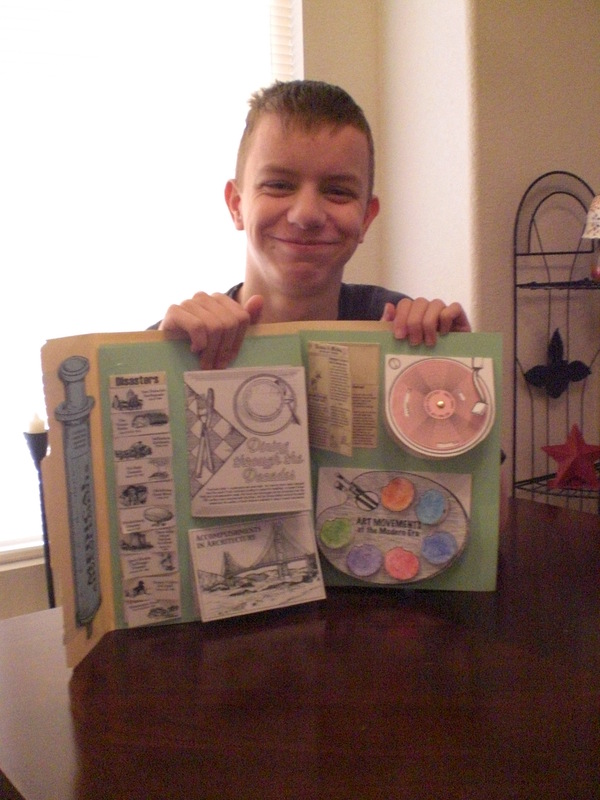 I was intrigued at the idea of trying out Project Passport World History Study: Ancient Egypt, because my eldest son, “The Batman” is very interested in ancient Egypt. When I first received my download, I was extremely overwhelmed. Home School In The Woods provides so much in this study! It is meant to be an eight to twelve week study, but we are tweaking it somewhat, in order to accommodate “The Batman’s” special needs. Also, our tendency of going off onto rabbit trails when something interests us or we have a question that has been raised by something we read in a study. Passport Project: Ancient Egypt is put together as if your student is going on an actual trip, beginning with creating a passport and a luggage folder. Each “lesson” is referred to as a “stop” on the trip itinerary. With “The Batman”, I am really taking my time on this study because I didn’t realize it would be so intense for him. He has anxiety problems whenever he feels as though he isn’t getting something “perfect”, even when I tell him it doesn’t have to be perfect. Also he has serious problems with handwriting because of his lack of fine motor skills. However, he really loves the reading, and he enjoys the audio “tours” as well. We’ve not yet attempted the 3-D projects; we are working up to that. Plus, he and his brothers were away at youth camp for a week. We will be doing them, though. Also, I promised him he would have help; when he looked at the complexity of the 3-D projects (for him) he got scared of even trying. 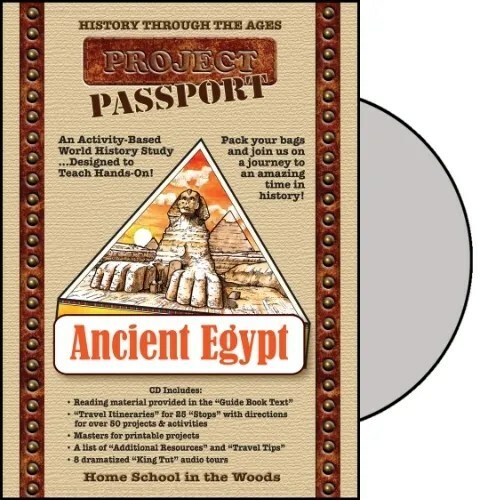 The very best thing about Project Passport: Ancient Egypt in our opinion is the Lap Book! We LOVE Lap Books! 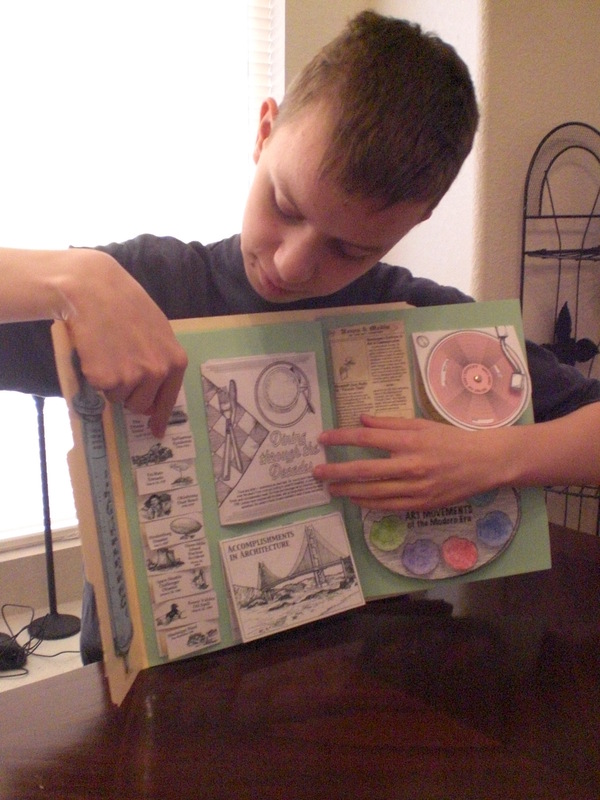 Anyone who has been reading here for long has seen pictures of beaming faces when my kids were showing off a completed Lap Book. 🙂 In fact, the Lap Book is what I am using as “The Batman’s” incentive to do the different projects. Wherever possible, I am allowing him to type rather than hand write. If it is not possible, then he dictates and either his brother “The Artist” or I will copy what he wants written down. 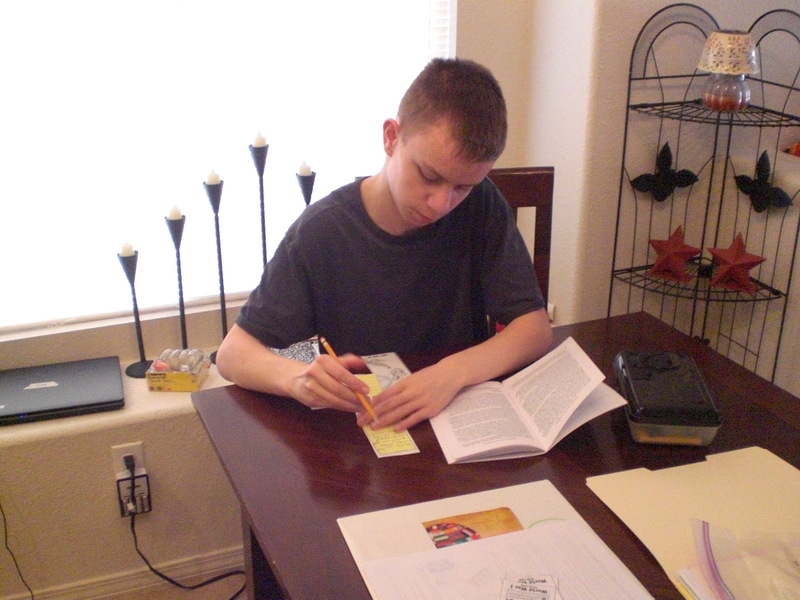 This is just one way of tweaking any study for a special needs child. 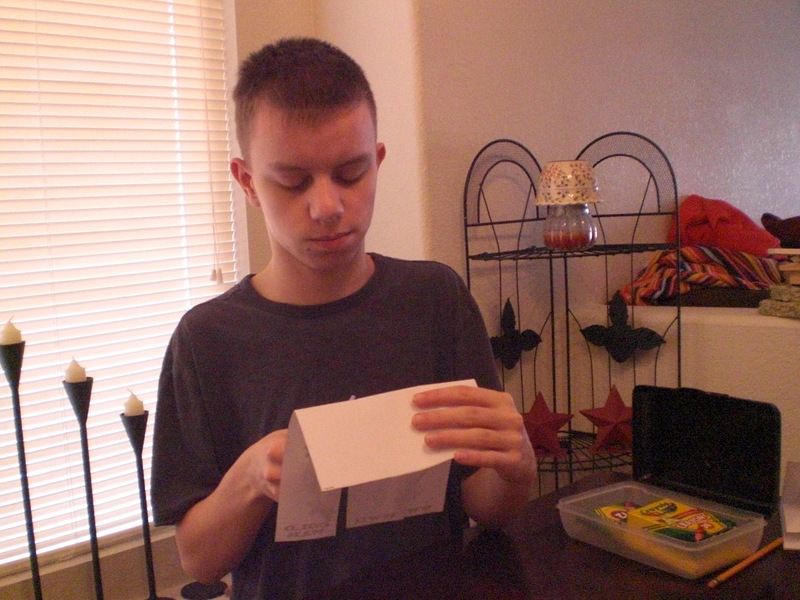 We will also, as I said above, help him with any of the 3-D projects he chooses to do. 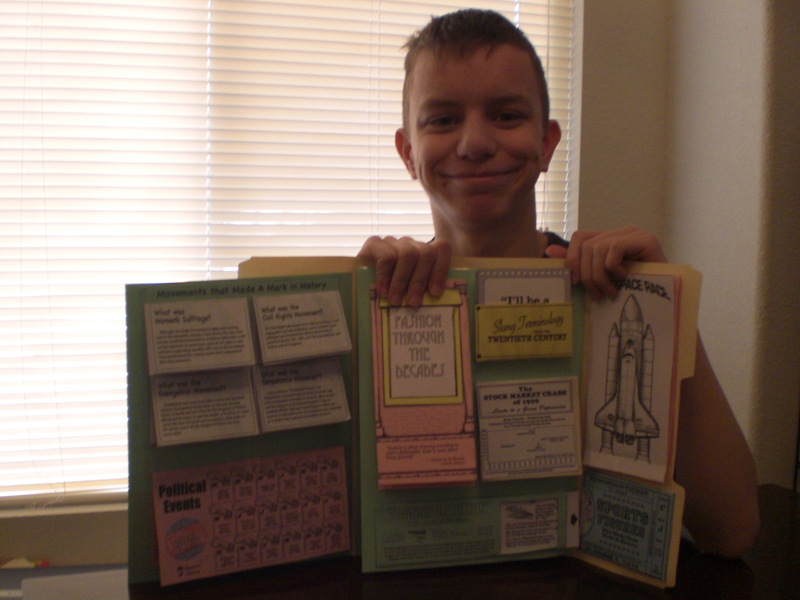 One thing he thinks will be fun is making the “newspaper,” so I am looking forward to working with him on that. As I said above, he really doesn’t mind the reading involved; in fact, he quite enjoys it. 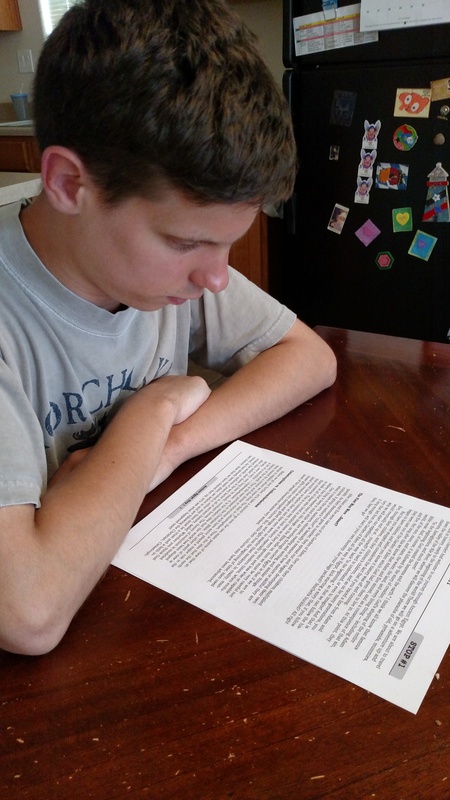 This thrills me given that when we adopted him, we were told he would probably never be able to read, etc . 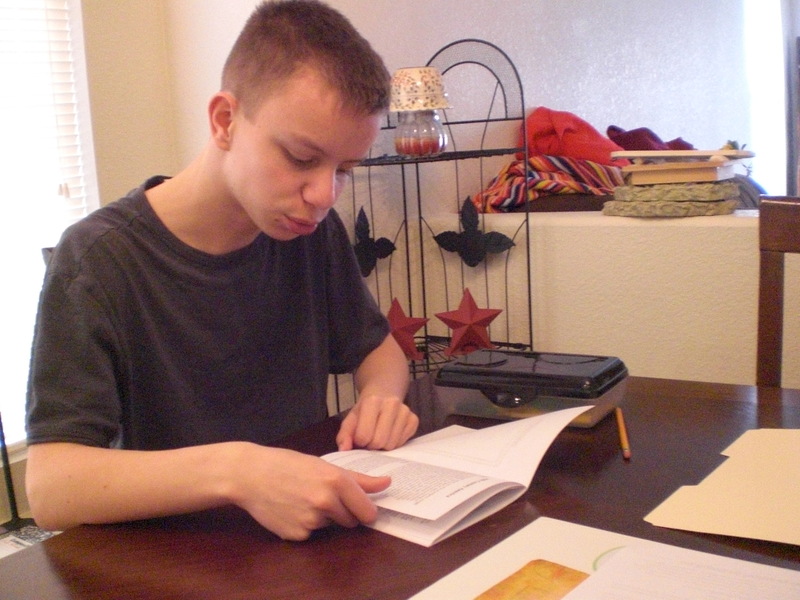 . . Homeschooling has done wonders for him and for our other kids, and Home School In The Woods is a company I would very heartedly recommend to any homeschooling family . . . whether you have special needs children or not. 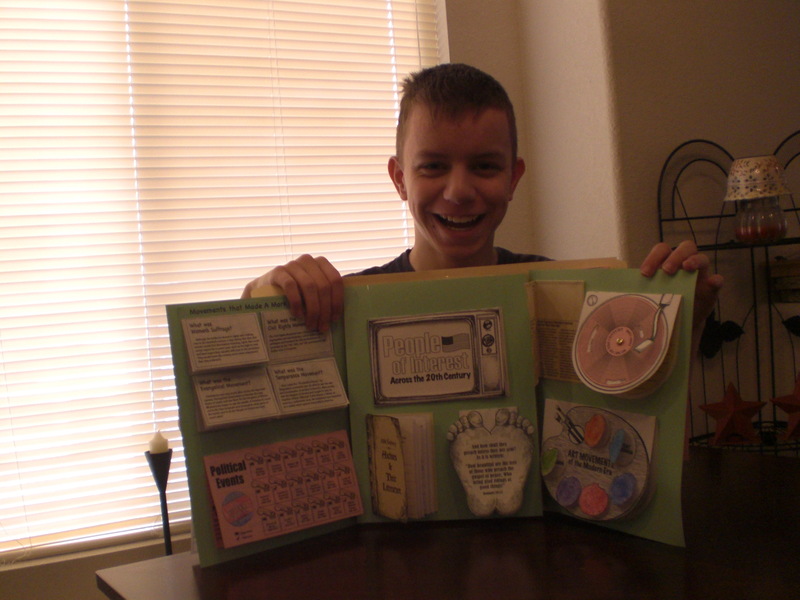 To read what other Review Crew members thought of this and other Passport Projects, please click on the banner below. My kids have enjoyed learning with lapbooks ever since we discovered them several years ago, so when I got the chance to review a lapbook package from Home School in the Woods, I grabbed for it! 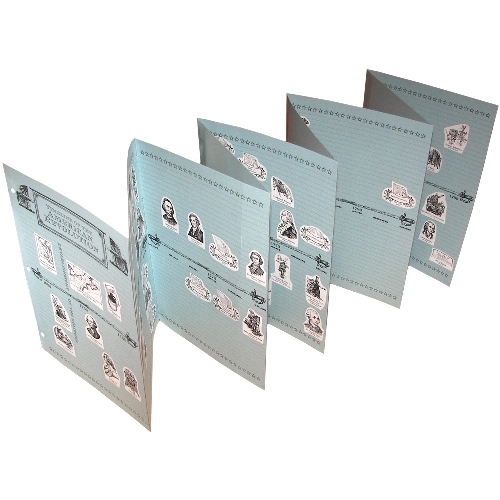 Home School in the Woods has long been well-known for their Timeline figure sets, Timeline Notebook and Olde World Style Map Sets, but I have to say that judging by the one we got for our review, they have also really hit the mark with “ready to go” lapbooking! Amy Pak and her family do live in the woods, and because she didn’t care for the thought of teaching history, she decided to use timelines. Eventually falling in love with the topic, she began to create timeline figures that are realistic. You can read more about Amy Pak and her family here. 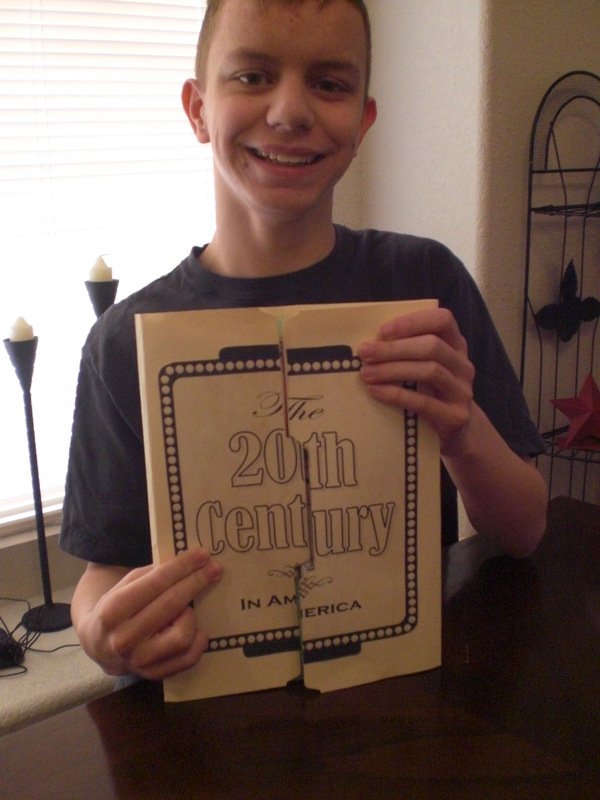 I decided that I really wanted to focus on American History with this one, so we chose to request the Hands-on History Lap Pak: The 20th Century in America. This download gives you a very complete unit study, which touches on so very many important historical events, movements, topics, and/or people. You can use the lists of additional resources, and take a much longer time with this unit by “digging deeper” into each subject, or you can do the entire thing “as is”, because everything, and I do mean everything, that you need is included. 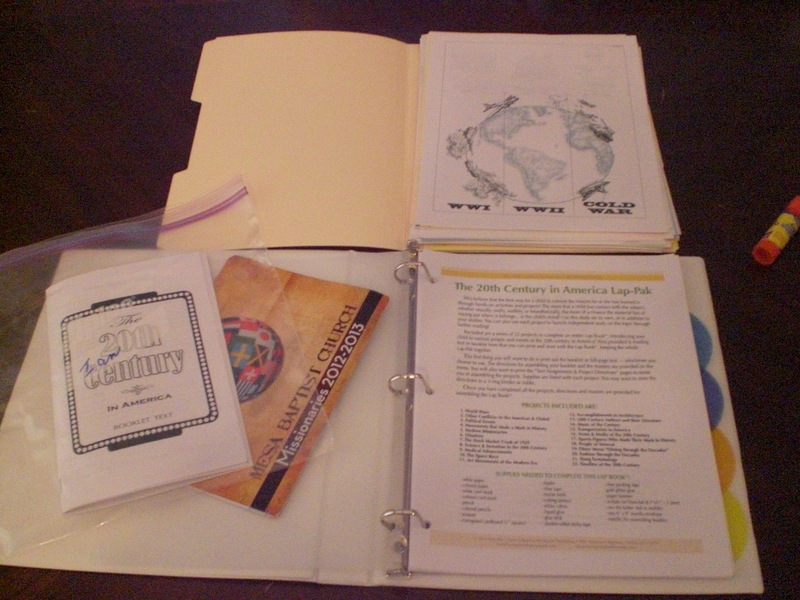 Here is our “project center”, all printed out and kept neatly in a three-ring binder and in the actual file folder we would ultimately use for the lapbook, until each page was needed (the only “extra” in the photo is the colorful booklet tucked into the binder pocket. This is a list of the missionaries supported by our church, because we decided to use it for the Modern Missionaries project) . . . Here are some photos of “The Artist” working on individual projects for the lapbook . . .
And here is a photo of the completed individual projects, waiting to be put into the assembled lapbook . . . Here are photos of “The Artist” proudly showing off his completed Lap-Pak . . .
Didn’t he do a great job? 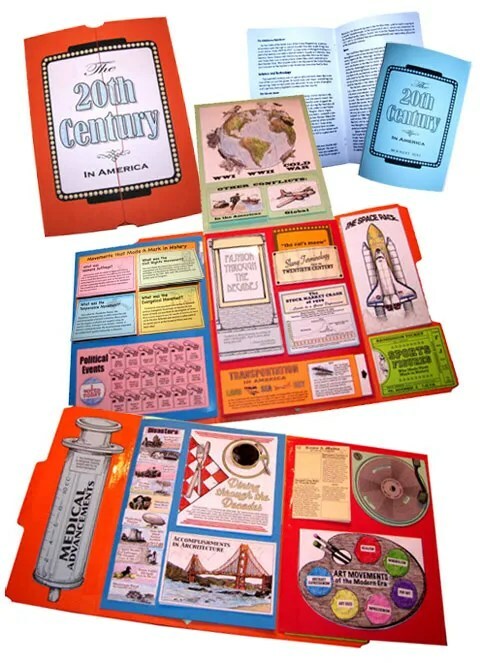 After discussing it further, we’ve decided we might like to also do the Hands-on History Activity Pak: Composers, and eventually the Great Empires, because “The Artist” so enjoyed putting together the Hands-on History Lap-Pak: The 20th Century in America. We enjoyed this product, and I think you might, as well! 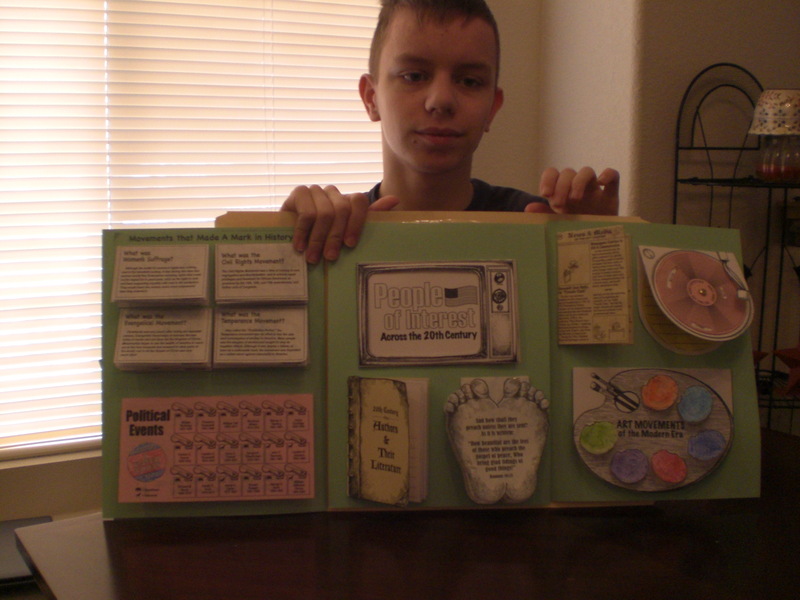 To see what other Schoolhouse Review Crew members thought of this and other products from Home School in the Woods, please click below . . .